There is something you can always say about being a Clay Aiken fan; it is never boring. Just like a roller coaster ride, there are ups, downs, twists and turns. Thursday, many of Clay’s fans experienced a twist when they woke up to an interesting Google alert. An unreliable and sensational blog was reporting that Clay Aiken had been dropped by RCA. It was interesting to watch what happened the rest of the day. It took a few hours, but soon every blog around seemed to copy the information and speculate on the future of Aiken’s musical career. As this is being written, there are at least 30 blogs headlined with the rumor of the split. More interesting than the number of blogs was the lack of any legitimate source. If you look carefully, there is no spokesperson for RCA and none for the Aiken team either. So, someone, somewhere decided to “leak” some news to an obscure blog and the rumor spread like a wild fire. Does that mean that the rumor is not true?? Absolutely, no!! The point is we just don’t know. These bloggers who consider themselves reporters don’t know anymore than what the fans have known for many weeks. 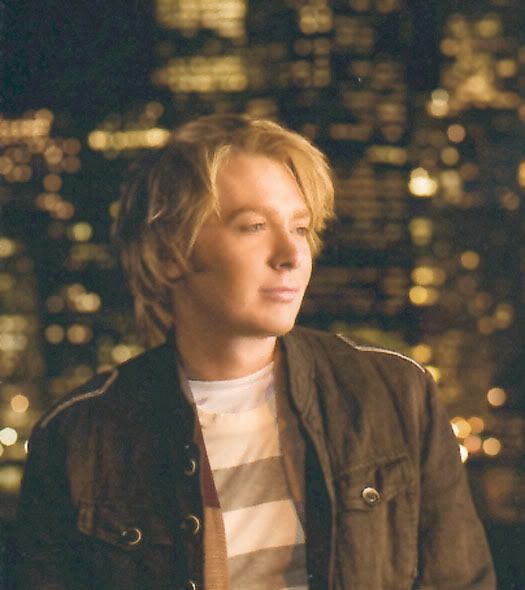 Clay Aiken fans have been discussing the possibility of the split since Clay’s name was removed from the RCA list of artists and his RCA web page was suddenly transferred to his Official Fan Club site. What can we expect in the next few days?? Probably much of the same as what happened on Thursday which was lots of talk, lots of rumors and speculation. If and when RCA and Clay part ways, it is not going to be a secret. Clay and his team will let his fans know when they are ready to make their announcement. It is so easy to imply that Clay was dumped, but keep in mind that Clay may have fulfilled his contract and have chosen not to renew. Changing labels in the music business happens with frequency. Being a free agent can open many doors for Clay. There is no doubt that Clay has a plan; he is a very smart young man. He just may not be able to announce his plans at this time. Clay Aiken fans know what it is like to ride the roller coaster and realize that for every sudden drop there is a fantastic rise. We just need to hold on a bit more to watch Clay soar into his next project. We also need to remember that news is very fluid and by the time this is published and you read it, it could be obsolete. It's all good news as far as I'm concerned. Can't wait to see what he does next! VERY NICE ARTICLE!!!! This article is the only one that is true out there…Thankyou. These bloggers run with such garbage. I’m not saying that it might not be true, but they put their spin on it..like he’s been “dumped”. For some reason the smallest tidbit becomes a boulder when it comes to Clay. I don’t know why some want him to fail??? What sad lives they must live. Most people want people to be successful.. Truly..it is quite bizarre. I’m so glad that you addressed this on CANN… I actually thought it would be here, as this is the best place to come for anything Clay!!!! Great post and the absolute truth about the current state of Clay’s relationwhip with RCA! You have a gift for wording the events of this week’s rollercoaster. Next I am “rewinding” your site to read the entry about Luann. I usually don’t like rollercoasters, but this one has been very exciting! I can’t wait to see what the future holds for Clay! I always liked to go to the dump when I was a kid – so many things that I found became treasures given the right care and love. Can’t wait to see (and hear) what Clay has in store next!!! YAY!!!! I love rollercoasters! Especially this one! Hearing that Clay may have left RCA would be one of the highs on this rollercoaster ride! Signing with another label that actually supports and appreciates their artists…what a novel idea! Hey mister….can I stay on this rollercoaster and go for another ride??!! The fact that so many bloggers picked up on this just shows how newsworthy Clay is!! I will wait until I hear the news from him before I believe it. Funny, I have always been afraid of rollercoasters, but there is no way I am getting off this one!!! Well, now we know the truth. Clay Aiken has parted ways with the Albatross RCA. Yeaaaaaaa! It’s about time. Now he can get on with his life and his music. Couldn’t be happier!!!!! Error: Error validating access token: Session has expired on Tuesday, 21-Aug-18 16:13:01 PDT. The current time is Monday, 22-Apr-19 23:18:30 PDT.